» ShopRite $5 and $10 Coupons in Today’s Paper! Home » Capital Region Deals » ShopRite $5 and $10 Coupons in Today’s Paper! 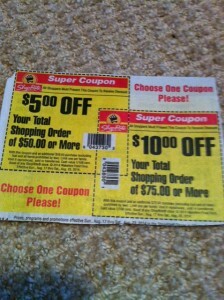 ShopRite $5 and $10 Coupons in Today’s Paper! 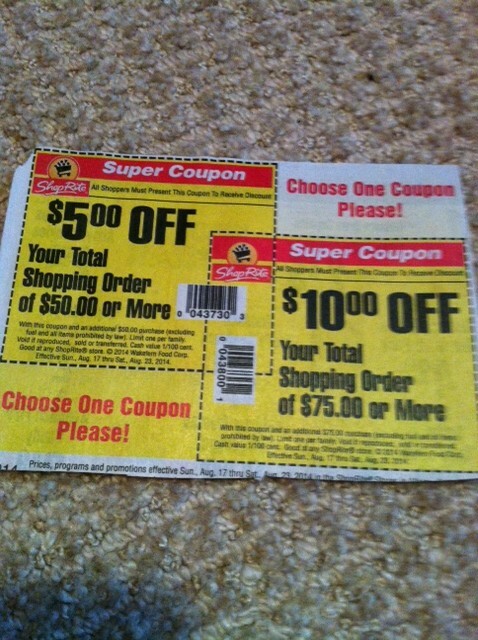 ShopRite has awesome super coupons in today’s Times Union newspaper insert for $5 off a $50 purchase and $10 off a $75 purchase. These are also accepted at most Price Chopper stores. ____> Only .49 cents at ShopRite with coupon! ← Win Private Pre-Sale Passes to Let’s Grow Together Children’s Consignment Sale!